I am always saddened by the sheer volume of social posts stating they lose or find a pet. 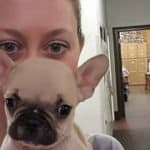 One comment I commonly see from finders is, “I found this dog but don’t want to take it to Animal Services Center because it will be euthanized.” Let’s start here. No one will be looking in your back yard for their lost pet. They will look at Animal Services Center so even if you do not physically turn the pet into Animal Services, make a lost/found report by calling 940-761-8894, sending a Facebook message, or posting to their Facebook page. Secondly, if keeping the pet isn’t an option it has the best chance of finding a good home through our Animal Services Center. Not only does our Animal Services Center have an adoption program and about to open a brand new adoption wing but our area shelters and rescues pull animals from the Animal Services Center to save and adopt out. Currently, we do indeed euthanize approximately 50% of unwanted pets in our community but re-homing a found pet by giving it away only adds to the problem and can result in a horrible end. Many ill-intentioned humans search for free pets to use as bait dogs or mistreat for their own pleasure. Unclaimed found pets will be spayed/neutered and fully vetted before adopted out to qualified homes once in the adoption program or pulled by a rescue. Those that aren’t saved are humanely euthanized. 1. Take a picture of the pet without too many identifying characteristics but be sure to show it’s face. Do not give away if it is a boy or girl, wearing a collar or what color in your picture or description. 2. Post the picture to all area Lost and Found sites with a generic description of the pet but a detailed location and time. A nice example is: “Found medium black dog by the stadium on Monday 10/10/16 at 7pm.” We recommend sharing your post with Animal Services, Humane Society of Wichita County, and Wichita County Lost and Found Pets. 3. Make sure your contact information is in the original post. Lost/Found posts get shared so much it is hard to locate the actual finder and reunite lost pets. 4. When you find a pet, make and display signs with the same information as your post. Facebook can be hit or miss on who sees a post but a pet that hasn’t strayed too far will be reunited most quickly if you post a few signs in the area you find them. 2. Make sure your contact information is on all of your original posts. 3. Make and display signs in the area your pet was last seen with your contact information and your pet’s information/picture. 4. 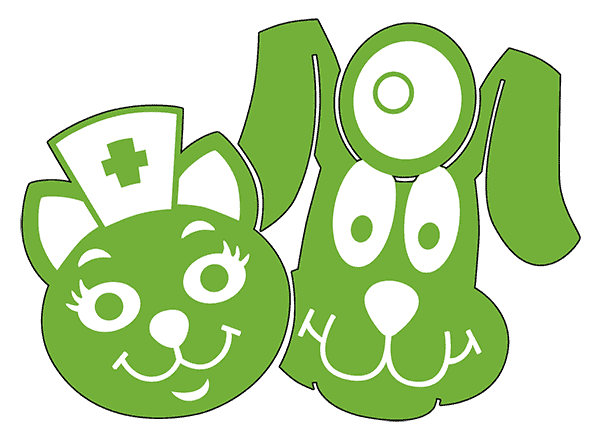 Check with Animal Services Center and the Humane Society of Wichita County every day IN PERSON. Walk the kennels at both locations. How you describe your pet may not be how others see it. I can not stress the importance of this enough. Walk the kennels every day! Do not just call! I discussed the importance of collars and a variety of other identification options. Check out this great information by following this link. Identification is your pet’s ticket home. Make sure you keep your information current with your vet as well. Many pets only wear rabies tags and can be reunited with their owners if the vet has accurate contact information. Remember, to check these resources also if you find a pet. Consider providing a family member’s information in addition to yours for emergency purposes if yours is likely to change frequently. 1. Check your fence and gates to make sure they are secure periodically throughout the year especially after storms. 2. Use a lock on your gate to prevent children and others from accidentally opening it. 3. Bring your pets inside during scary holidays like Halloween, 4th of July and News Years Eve. More pets get lost on 4th of July than any other holiday. 4. Bring your pets inside if it is storming. Thunder and lightning can scare a pet as much as fireworks and cause them to run away. High winds can damage fences. 6. Check on your pets regularly when they are outside. 7. Do not leave small pets outside unsupervised. Small pets are often prey to owls, hawks, and coyotes. 8. If your pets are inside make sure they can not open doors by jumping on them, Many screen doors have push knobs that a pet can successfully open.